Tumultuous spring storms are not uncommon in certain parts of the United States. Every year from 2010 to 2016, National Weather Services offices across the country received an average of 6,339 reports of hail damage. Texas led the way as the state with the most hail loss claims – nearly 150,000 in 2016. 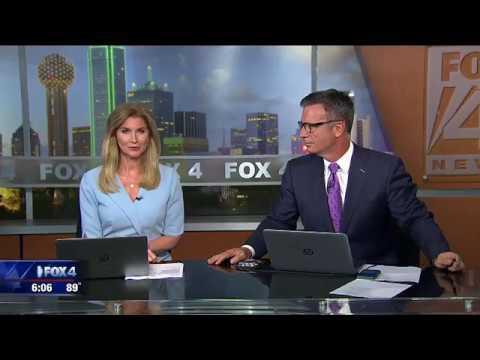 On a recent spring night, homes, businesses and cars in North Texas were pelted by golf ball sized hail as storms moved through the area. McKinney was one of the hardest hit locations. Our cameras caught vehicles at a local car dealership during the weather event. The storms hit before our monitoring hours had begun. However, as soon as our security operators came on duty, they saw the damage and contacted the dealership management. A team of employees arrived and moved the vehicles safely inside. Auto dealerships are challenging to secure. Since most of the inventory is left outside, it becomes susceptible to theft, as well as the effects of damaging weather. Storm issues like hail can cause significant financial loss and interrupt business. Even if the vehicles make it out unscathed, there could be damage to the building or service department. Water damage and flooding from holes in the roof can halt operations and compromise sales. A proactive security solution, like remote video monitoring, can help a dealership even during extreme weather conditions. Remotely-stationed operators can keep an eye on what’s happening on your site, watching for damage and potential hazards. They can provide status updates to property managers and crime reports to police. Recorded video can also be an effective part of disaster recovery, providing proof of damage to insurance companies. Severe weather can strike at a moment’s notice. Thunderstorms, lightning, hail and tornadoes can occur with little warning. A proactive video surveillance solution can help address security and liability issues at your dealership. For more information about our customized auto dealership security solutions, contact us.